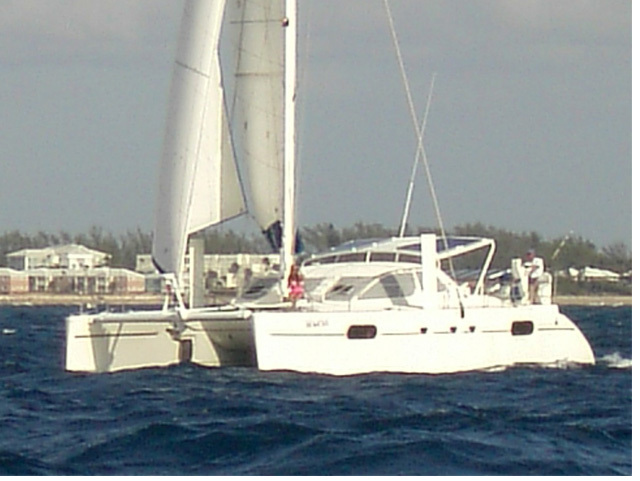 Sailing catamaran GENESIS was built by French yacht builders Catana in 2000 and was refitted in 2007. 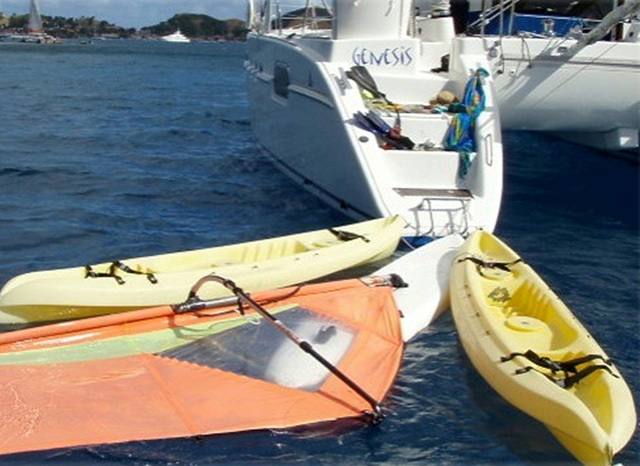 Charter yacht GENESIS offers deluxe private charters for 2 guests in the Windward Caribbean islands. Providing one entire hull to her 2 guests, she is the ideal 14.3m (47ft) catamaran for couples who want a piece of paradise all to themselves. 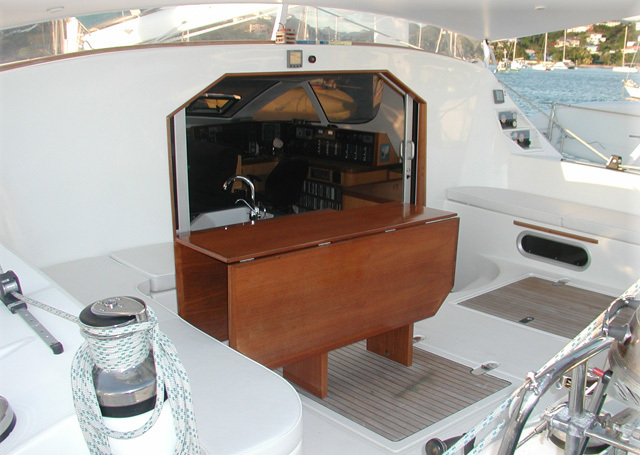 Charter yacht GENESIS has a casual elegant interior, teak and holly floors, high gloss fine wood panels, rich sea blue upholstering and charming Caribbean styling all provide a comfortable and inviting ambiance. 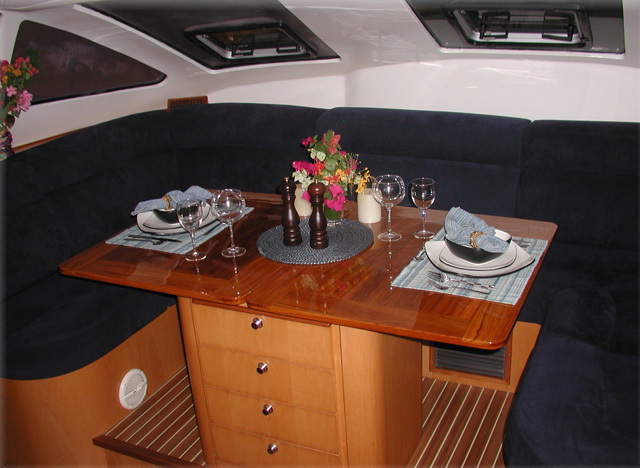 The salon offers a formal dining option and sofa, for a more romantic feel the adjacent cockpit offers an alfresco dining option. 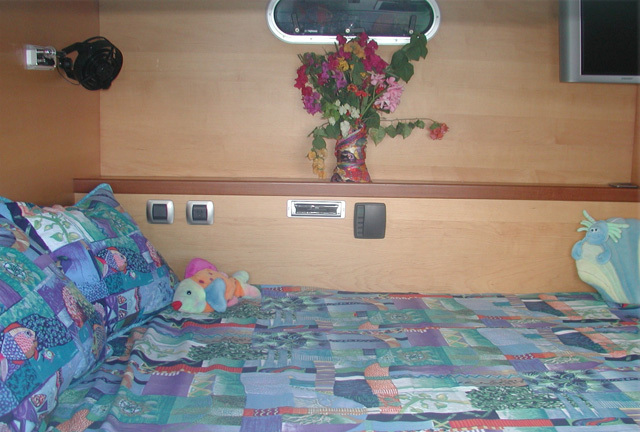 Guest accommodation is in the starboard hull, the king size bed is aft, ample storage and floor space is amidships and the large en-suite is forward. Sail Cat GENESIS offers plenty of deck areas to relax from the large cockpit to the expansive foredeck to the safety trampolines between the bows. While at anchor take a swim off the easy access sugar scoop transoms, have a kayak launched for a relaxing paddle, or simply sit back and admire the stunning scenery. 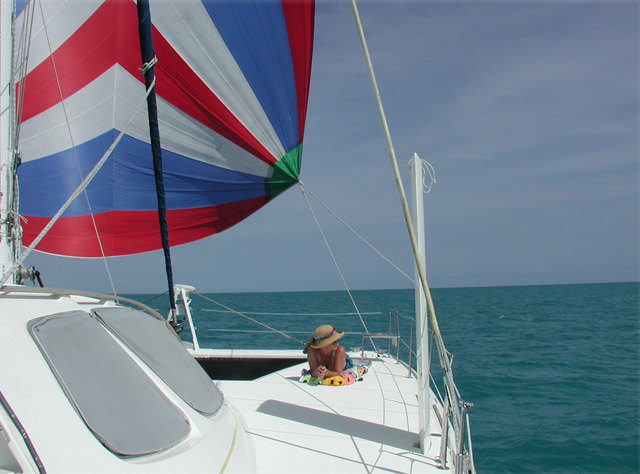 S/Y GENESIS has a beam of 7.6m (25ft) and a draft of 1.2m (4.1ft), the yacht sails easily at up to 8 knots. 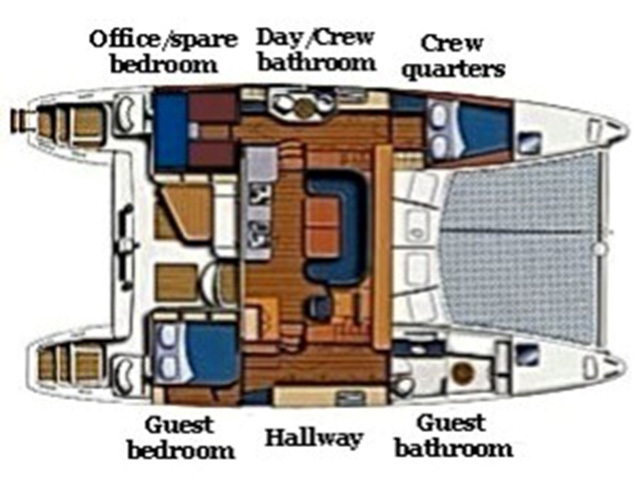 Accommodation on board the GENESIS catamaran is generous with the entire starboard hull being dedicated to her 2 guests, featuring a king size bed, ample storage and an oversized en-suite facility with a separate enclosed shower ensuring a dry head at all times.